Why isn’t Hidden Figures About National-Socialist-era German scientist Arthur Rudolph? THE SPIRE has already burned and fallen. 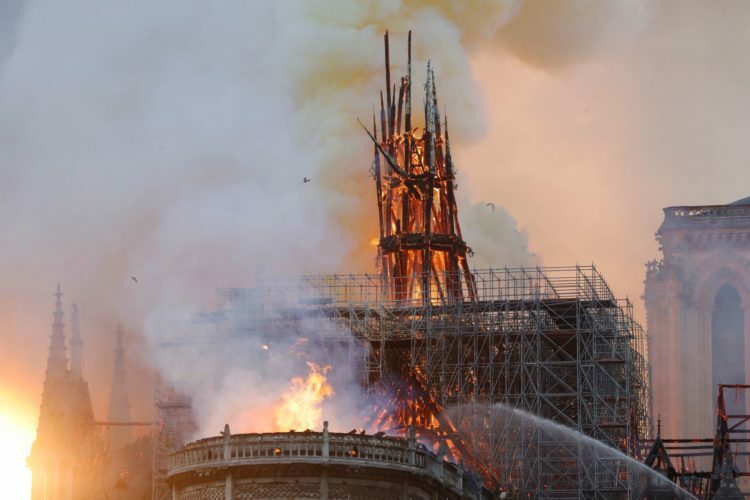 Parisians by the hundreds of thousands are on the streets, watching the flames rise higher and higher, helpless to stop the destruction of this timeless symbol of France and of Aryan Man that transcends sectarian religion, as it falls before their eyes. It has stood since the year 1163. Its construction was closer in time to Emperor Julian of Rome than to our own day. When it was built, the Eastern Roman Empire had not yet fallen — and was not to fall for another 300 years. During the life of George Washington, it had already stood for 600 years. 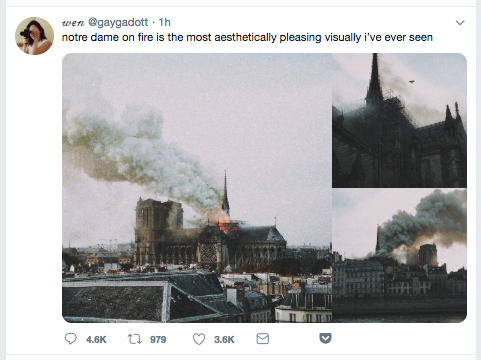 Like Notre Dame, Aryan France is herself collapsing under the weight of millions of non-Aryan invaders encouraged and facilitated by the Jewish power structure and its agents in recent years. 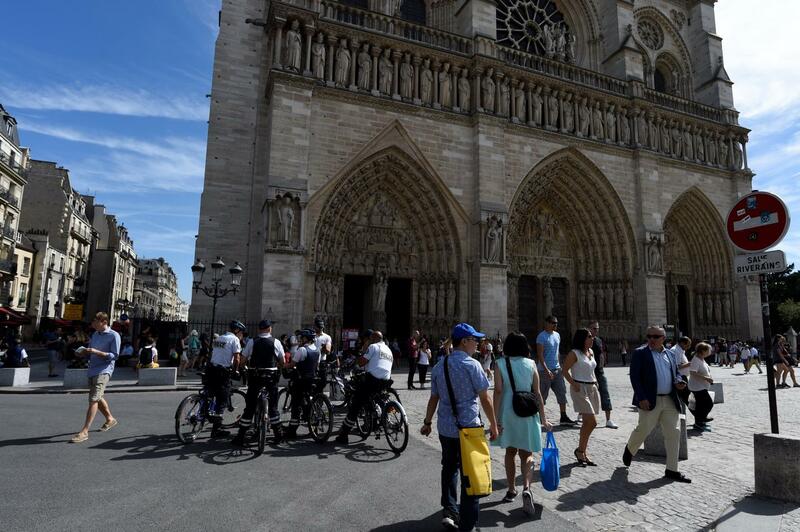 Vandals have smashed statues, knocked down tabernacles, scattered or destroyed the Eucharist and torn down crosses… Last Sunday, the historic Church of St. Sulpice in Paris was set on fire just after midday mass on Sunday, Le Parisien reported, although no one was injured. Police are still investigating the attack, which firefighters have confidently attributed to arson. Built in the 17th century, St. Sulpice houses three works by the Romantic painter Eugene de la Croix, and was used in the movie adaptation of The Da Vinci Code,by Dan Brown. Is this the act of an anti-White invader or savage? Is this the act of a crazed leftist or feminist, egged on by the Jewish media or the academy? As we mourn, let us resolve: May Aryan man build even greater cathedrals, Cosmotheist cathedrals, one day. 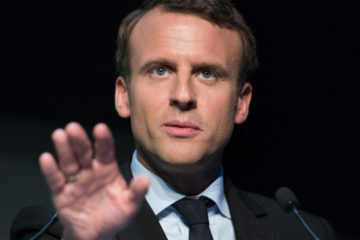 Macron Repeats What Jews Whisper in His Ear: Lifetime Social Media Ban for "Haters"
This is the France version of 9-11. Ugly and hideous — but signifying the cataclysmic failure of 70 years of French anti-Aryan Socialism. Macron should resign immediately. Will Aryans in France do anything? 2/ we cannot speak, express what we feel, I remind you that their is no freedom of speech in France, this is not USA you know ! Here, a site like National Vanguard would be put off line in a few hours, because it tells the truth about kikes and muslim invaders ! 3/ if we speak, there are special patrols on the internet paid by the government, to report, localize and sue people like us ! Then the leftists judges condemn, and trust me, fees are 5 figures minimum..plus the years of jail ! This is EUSR, European Union of Socialist Republics, and like in the times of USSR, you can criticize ((( the masters))), but at your own risk ! And EUSR, will turn to EUSIR, “I” standing for Islamic ! The will of the ((( masters ))), followed by Macron, Merkel, May, and all theses scumbags ! Trust me, I’m writing from occupied France, France under ZOG, invaded France, soon a caliphate, the burning of this cathedral announcing the destiny of the whole country, to burn under Islam, to die and disappear …..
I’ve said that a key to white survival is in whites’ overwhelming control of the food production and distribution industries at the management and ownership levels, and it’s also in utilities such as water and power. Hands-on technical knowledge is required. A unionization of the white workers, managers and owners in these areas for the promotion of white interests, separate from the usual job-related concerns, is overdue. It will have to promote a positive but unifying message to avoid the EU’s draconian hate-speech rules, just to get started. Climate change will make reliance on these sectors’ cooperation greater; national politicians will assume that everyone will fall in line with major regulatory changes like they have behind the Euro-x emissions-standards ladder. Revolting against such regulations – a general strike in these sectors demanding a halt to migrant influx and a start on scheduled repatriation of all semites, asians and africans, is overdue. Each day that goes by, Aryans will have to give up more to make ever more migrants fill key roles in society as Europe’s economic growth has been slow throughout this crisis. As for withholding food and other necessities, the tactics of Stalin’s USSR won’t be necessary to smash the absurdity of national suicide.